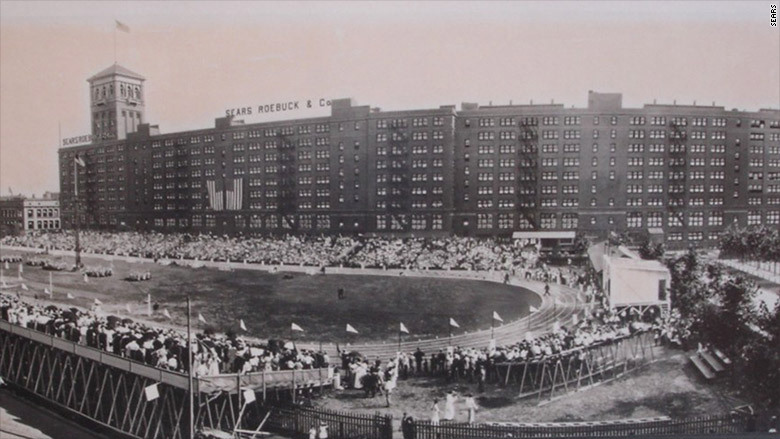 Sears has been part of Chicago for more than a century. That ends Sunday. 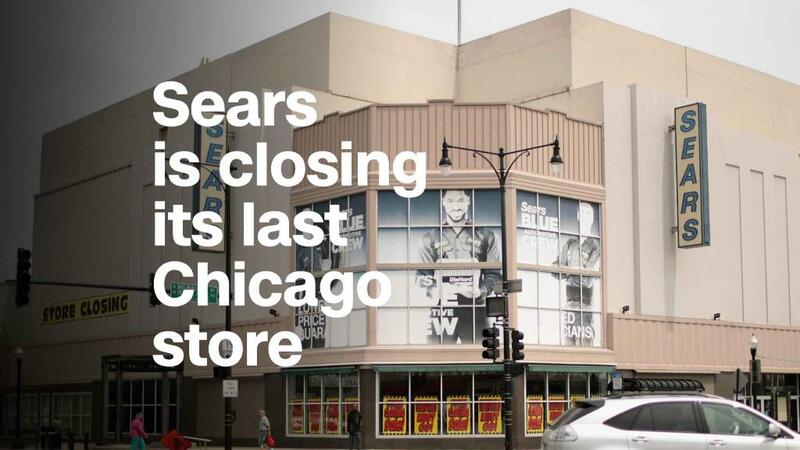 The final Sears in Chicago city limits is closing. Known as the Six Corners store, it opened in the Irving Park neighborhood 80 years ago, during the Great Depression. On the first day, 100,000 shoppers stormed through the doors. Sears Holdings (SHLD), which operates both the Kmart and Sears brands, had a total of 3,500 US stores when it merged the two brands in 2005. Now it has fewer than 1,000. Merchants nearby said they're concerned about losing a longtime anchor of the neighborhood, even if they don't get much business from Sears customers anymore. "Do we like empty stores? Absolutely not. But it wasn't a great draw," said Rich Buckwalter, 62, the owner of Rasenick's, a store down the block that sells work boots and work clothes. "If this closing had happened 25 years ago, I'm sure the owner here at the time would have been much more concerned." The final Sears in Chicago is closing Sunday. Buckwalter said he's gone over to Sears a few times since the closing was announced in April. But he said it's probably been 10 or 15 years since he bought anything there himself. "We used to buy tools and batteries and auto parts there. But there's no reason to go in there any longer. They've been doing the same thing for the last 50 years, and that doesn't work anymore," he said. "It's not good, especially for the employees. That's who I worry about." Sears declined comment beyond confirming that the store will close Sunday. The Six Corners store opened in 1938, but Sears' history in Chicago goes back even further. Opening of the first Sears store in Chicago, 1925. The company's Chicago-based empire grew to include Allstate (ALL) insurance, the Discover (DFS) credit card and Coldwell Banker real estate, as well as radio and TV stations with the call letters WLS. It stood for World's Largest Store, an homage to the Sears location downtown. 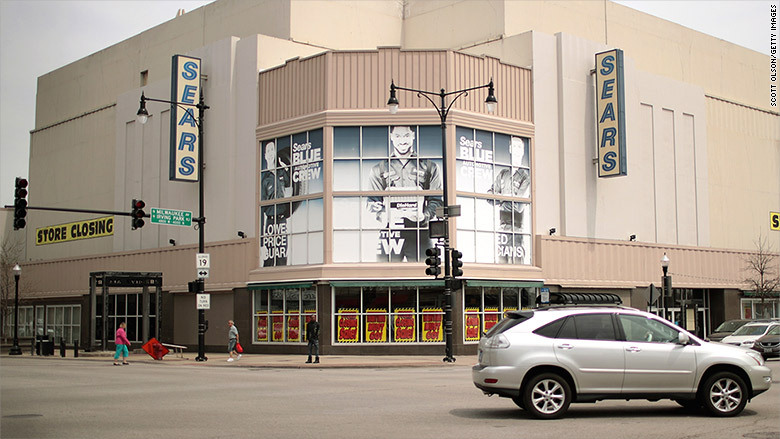 The Six Corners store, like more than 100 other Sears locations, is owned by Seritage Growth Properties, a real estate company controlled by Sears Holdings CEO Eddie Lampert. Seritage (SRG), which is publicly traded, has a market value nearly 10 times greater than Sears Holdings. "Sears still has tremendous assets, but as an ongoing retail concern, the value of Sears is very limited," said Michael Brown, a partner at consultant A.T. Kearney. He said Seritage and Lampert can make more money finding other uses for the property than the rent being paid by the troubled retailer. "It's an expensive piece of property that can bring a rich price," Brown said.